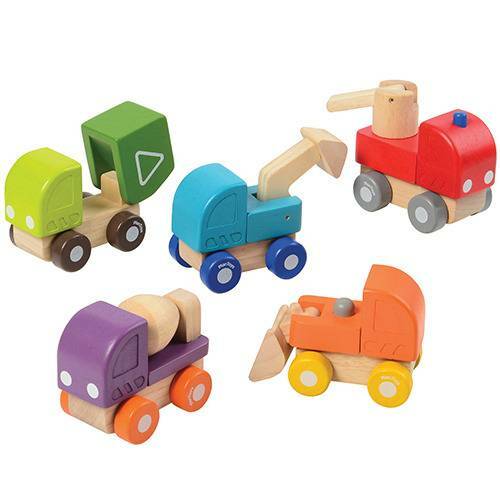 Garbage truck is 5" L. x 4" H.
Working solid wood vehicles with moving parts include excavator's lift and bulldozer's scoop that move up and down, the fire engine's ladder raises to rotate 360 degrees, the barrel of the cement truck turns, and the garbage truck lifts to simulate dumping action. Garbage truck is 5" L. x 4" H. Ages 12 mos. +.